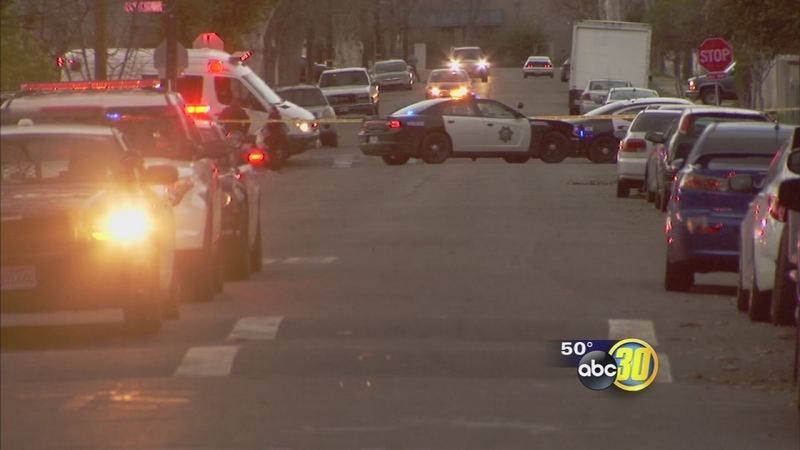 FRESNO, Calif. (KFSN) -- Two men were wounded in an apparent drive-by shooting near Jefferson Elementary School in Central Fresno. The shooting took place just before 5:00 p.m. Investigators say a man got out of a car and fired several shots at two men on the porch of a house directly across the street from the school. One of the wounded men was shot in the leg; the other was shot in the chest. Both are now being treated at the hospital. The school was briefly locked down. Police said one of the victims was associated with a gang, but it's not clear if that's why he was targeted. Police also said witnesses could not provide a good description of the suspect or the vehicle he was in.